The boss man at the West Ham football club has admitted his love for Andy Carroll and looks forward to his return from injury. 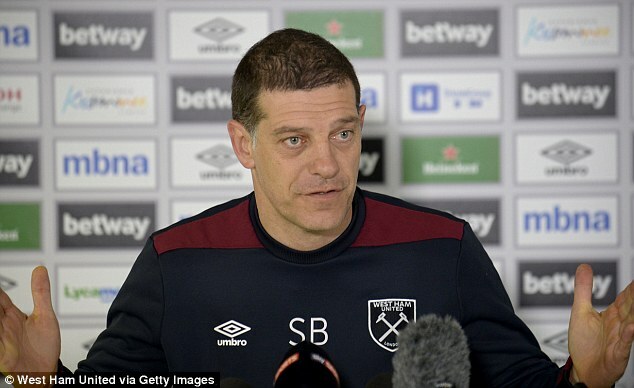 Bilic is optimistic of what the England’s forward can do when not in the treatment room and believes that he would be back soon. Andy Carroll’s career growth has been stunted by series of injuries thus disrupting his playing time with the Hammers. The laid up schedule by doctors expect that the forward would be out of treatment latest by November 19. This means he might be ready just in time for West Ham’s visit to strong rivals, Tottenham. The desperate Bilic seriously hopes that Carroll is up and available soon enough, at least in three weeks on the pitch to ensure that their revival keeps up the gathering momentum. “I have a lot of feelings for Andy. I don’t hide it. I love Andy Carroll. Every time he has started or come off of the bench, he has been brilliant for us. It’s virtually impossible to mark him in the box and even outside the box he is brilliant also.”Bilic had said. West ham came off last weekend with a stunning defeat by Everton in their European Premier League match. They conceded 2 goals to nil which has thus placed them in the 17th position on the league table with just 10 points and one step away from relegation.